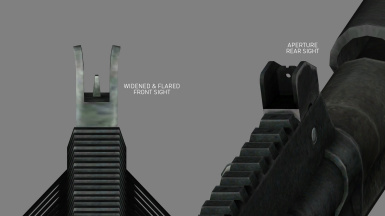 Adds a Marksman Carbine, chambered for .308, to the game. 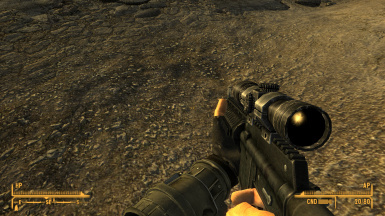 This mod adds a new weapon to the game that acts as a hybrid between the Marksman Carbine and the Sniper Rifle. 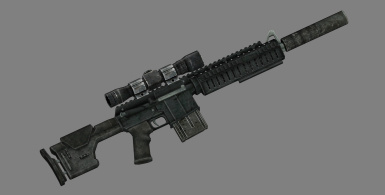 Visually, the Marksman Carbine is one of my favourite weapons in the game, but I dislike the ACOG-style optic and curved magazine. 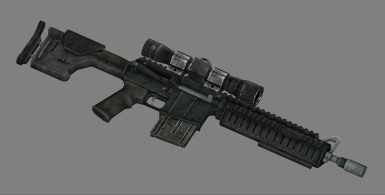 I wanted something with a little more punch that was more durable than the Sniper Rifle and with a magazine that properly reflected its 20-round capacity. As of v1.0, the weapon only has one mod available - you can attach the base-game Sniper Rifle silencer directly to this weapon. I made the mesh myself using entirely base-game assets and textures. I took the vanilla Marksman Carbine and removed the optic as well as patching the missing section of rail that was exposed when the optic was removed. I then extended the magazine well and lengthened the bolt, before replacing the magazine with a widened Assault Carbine magazine. I also fixed the plugged handguard holes that are present on the vanilla mesh. 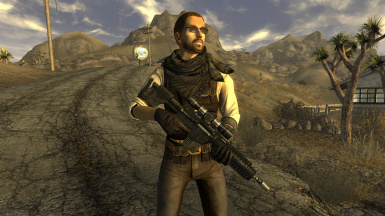 I used the scope from the .44 Magnum Revolver because it looked the most tactical, and added the Sniper Rifle suppressor. For v1.1, I widened and flared out the front sight block and added the rear sight from the Laser RCW. If updating to v1.1 from an earlier version, please be aware that I renamed the meshes, so delete the old meshes before extracting the new ones.